Drs. Will and Charlie Mayo. Photo Crefit: Marge Fenelon from Mayo Clinic display. I’m sure that when Dr. William W. Mayo opened his Rochester, Minnesota medical practice in 1864, he hadn’t a clue that thousands of people from around the world would benefit from his efforts. Nor did his two doctor-sons, William J. (Dr. Will) and Charles (Dr. Charlie) expect the scope and impact that the clinic they founded with their father would eventually have. All they knew was they were called to serve humanity to the best of their ability. And they did just that – to the nth degree. The Mayo Family was determined to use their expertise to advance the field of medicine and expand the range of care for their patients. Thus, the Mayo Clinic became the first medical facility to offer a multi-specialty group practice (1900s) and to initiate the method of integrated medical records (1907). Additionally, Mayo Clinic offered the first program in graduate medical education (1915). In 1919, it became a non-profit practice and aligned itself with medical education and research. The clinic won the Nobel Prize in 195o for its discovery of cortisone and in 1955, the Mayo physicians performed the first series of operations with a heart-lung bypass machine. They also came up with the first FDA-approved hip joint replacement (1969) and the first rapid diagnosis for anthrax poisoning after 9/11 (2001). All of this happened because a father and his two sons decided that they had to do better. Mayo Clinic doctors observing surgery from the gallery. Photo credit: Marge Fenelon from Mayo Clinic display. Mayo Clinic has Catholic roots as well. After the devastating tornado of 1883, Dr. William W. Mayo asked the Franciscan Sisters of Rochester to act as volunteer nurses to help care for the injured. This convinced the order’s superior, Mother Mary Alfred Moes, that Rochester needed a hospital. “Just promise me that you will take charge of our hospital, and we will set that building before you at once,” she told Dr. Mayo. Dr. Mayo agreed, and a partnership began that lasts even until now. In spite of their Episcopalian faith, the Mayo family shared with the Sisters their common goal of serving humanity with dignity and compassion. St. Mary’s Hospital opened in 1889, with 27 beds and eventually became one of the largest privately owned hospitals in the world. The Sisters’ duties began at 3am and ranged from hand pumping water, cooking and serving meals and shoveling coal into the furnaces to cutting sponges and making sutures from horsehair. On top of all that, they ran a farm with cattle, pigs, chickens and a vegetable garden. The Sisters made great strides in medical practice, too. 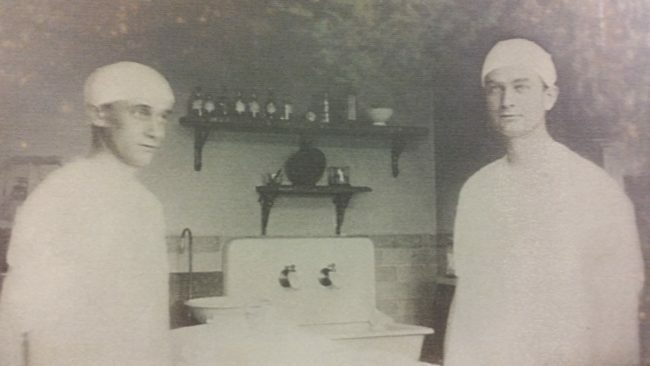 Dr. Mayo chose Sr. Joseph Dempsey as his first surgical assistant because of her adeptness in the operating room. It was not unusual for her to finish the surgeries Dr. Mayo had begun while he addressed the doctors in the observation gallery. She also discovered the first signs of abdominal cancer, and it’s from there that the still-used medical term “Sister Joseph’s nodule” came into being. Through their philosophy of patient-centered care and collaboration, the Franciscan Sisters formed the model of team-led consultations that is unique to Mayo Clinic and has become influential in the medical field worldwide. I’m grateful to be a beneficiary of the amazing legacy of the Mayo Family and the Franciscan Sisters of Rochester at Mayo Clinic. I’ve had nothing but good experiences on my visits there, and I’m sure it will be the same on future visits. I’m actually pretty excited that I’ll be having my surgery at St. Mary’s Hospital – one that will be far less extensive and with a far better prognosis than I was originally given by my local doctors. That’s due to the Mayo Clinic folks. Thanks to them, I’ll be cared for with dedicated expertise in a team approach and will continue writing and public speaking with fairly minor interruptions. I learned a great deal in my time at Mayo Clinic, and I’ve no doubt that I’ll learn much more before this is all over. So far, the lesson that most resonates in me is the example of the Mayo founders: Determination, dedication, service, excellence, collaboration, and following God’s inspirations. 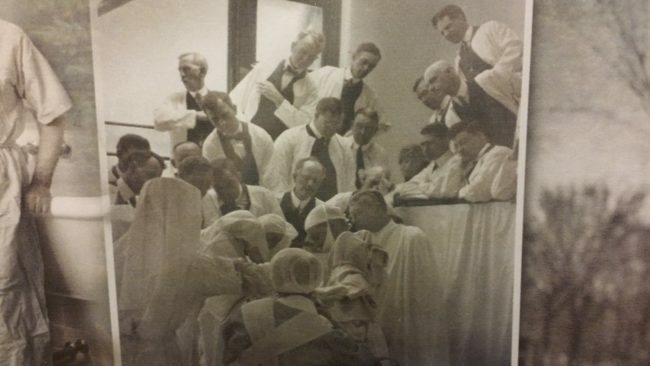 There’s a wonderful documentary crafted by Sr. Mary Brigh Cassidy (who now has a St. Mary’s Hospital Campus building named after her) on the role of the Franciscan Sisters in the history of Mayo Clinic. I think you’ll really enjoy it. Catholic Church, Mayo Clinic. Bookmark.